We want to share this tasty drink treat with our customers. Receive 3 packages at a reduced price for this specialty drink mix. 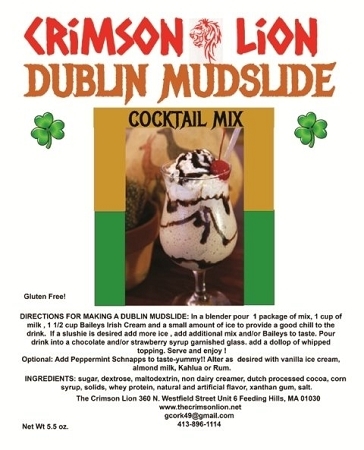 Directions: In a blender pour 1 package of the mix, 1 cup of milk, 11/2 cups of Baileys Irish Cream, and a small amount of ice to provide a good chill to the drink. If a slushie is desired, add in more ice, additional mix and more Bailey's to taste. Pour drink into chocolate or strawberry syrup garnished glass. Optionally add a dollop of whipped cream and some grenadine. Serve and enjoy. Some options: Add some Vodka, Kahlua, or Rum as desired.